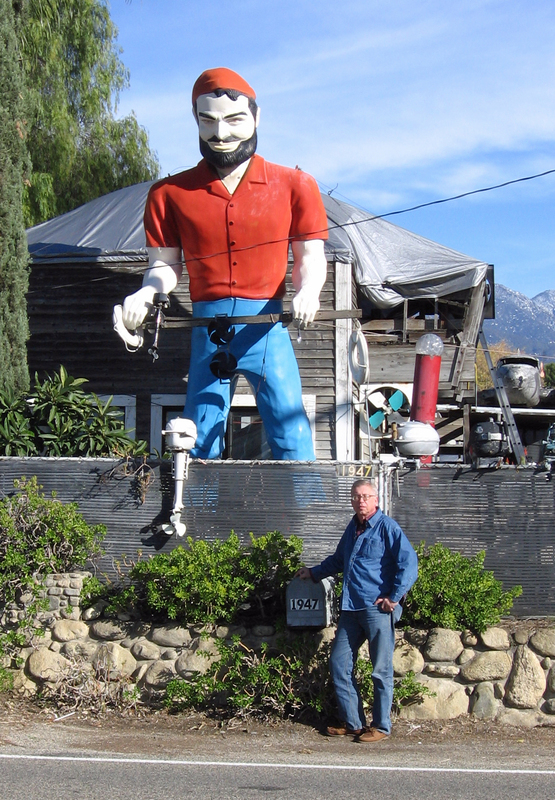 Mentone Muffler Man – The Home of My "Big Things"
This Muffler Man is out in Mentone California. A very interesting location with other items. There was a large chicken there as well. At any rate I have a description on the Animals page of the location. Here I want you to notice all the other elements in this photo. Check out the airplane in the backyard as well as the Evinrude outboards on the fence. Maybe he can waterski while sitting on his front porch.